KING-KLIPs for raised flooring are surprisingly simple to use. Here is a video that explains their application in a few simple moves! 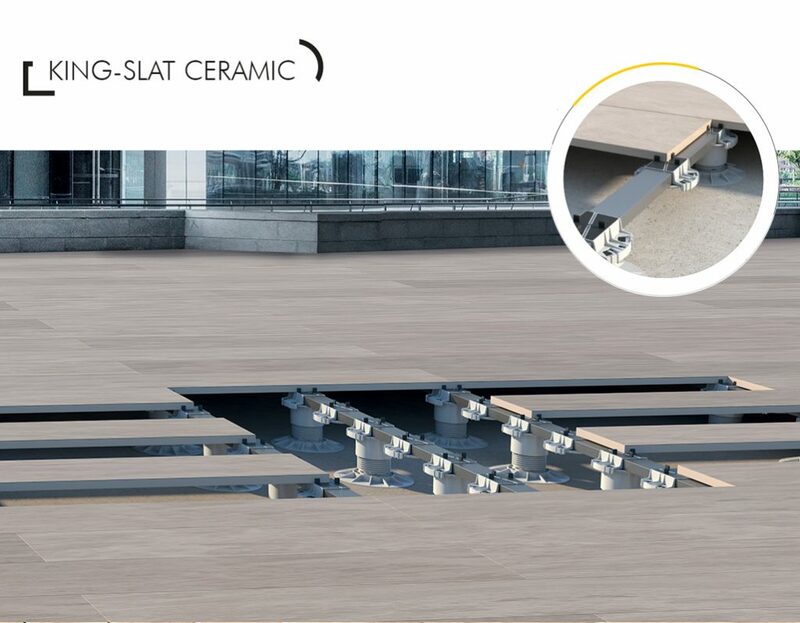 We have developed a short video to clearly and directly show how easy it is to create steps and sealing in raised outdoor flooring using the KING-KLIP system. KING-KLIP Up and Down are two hooks in AISI 304 stainless steel designed specifically for insertion on top and bottom of the KING support. As you can clearly see in the video, the two hooks block the 2cm sealing plate on top and bottom allowing safe and functional steps to be created for walking on the raised outdoor flooring. To complete installation, KING research developed the KING-LINE finishing profile, also in AISI 304 stainless steel, which covers the thickness of the stop plates and aesthetically refines it. You can see in the video how the profile is specifically shaped at the edges to avoid accidentally cutting the person applying it during installation operations. The KING-LINE profile is available in a smooth finish (Plane) or in 7 different surfaces (Style), to meet all aesthetic design requirements. 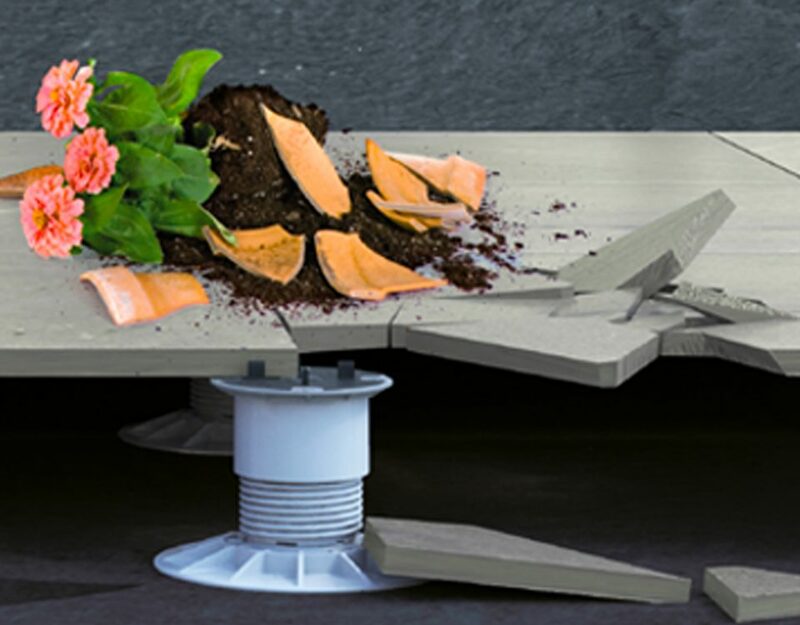 Thanks to the KING supports and the innovative KING Tools, creating raised outdoor flooring becomes a simple and professionally fulfilling operation, as it meets the most wide-ranging design requirements. 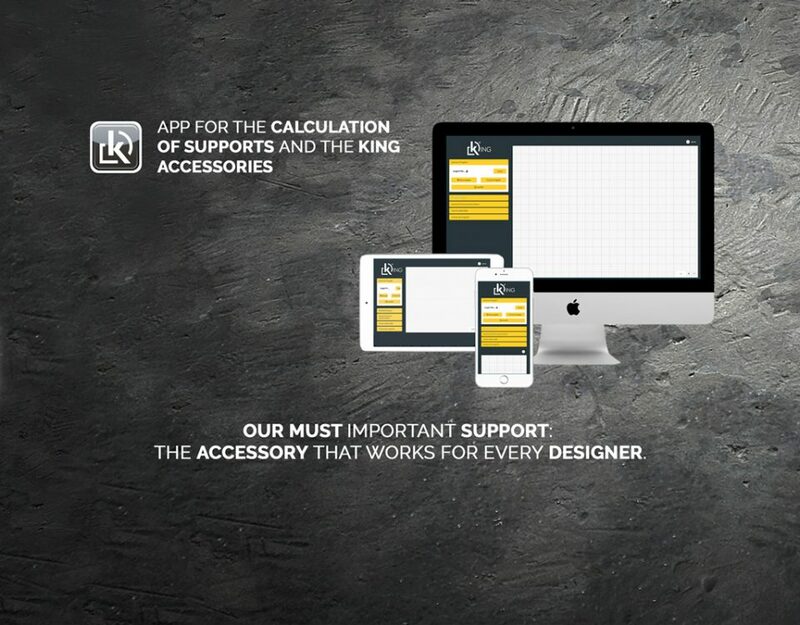 For technical analysis of the KING-KLIP system, consult our pages specifically for the accessories or refer to the technical contribution recently published in our magazine. KING KLIP. Patent Pending. MADE IN ITALY. KING KLIP. Patend Pending. MADE IN ITALY. How many supports are there for raised flooring?